The Daytona Plus is the top-of-the-line treadmill in the company's non-folding series, with Swing Arm Suspension and Intelligent Weight Management, among other innovative features. The Daytona Plus offers seven different user profiles as well as 15 workout programs built in including targets (speed, distance, time), intensity, weight loss, speed interval, 5K running/walking, fitness, heart rate and more. Get the Daytona Plus Treadmill On Sale Now at Yowza Fitness! The Daytona Plus has received great reviews from experts and users alike, and includes a host of innovative features and capabilities you don't find anywhere else. 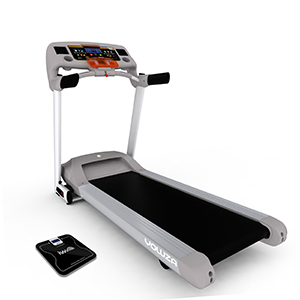 It builds upon the base Daytona model treadmill with Bluetooth wireless technology that allows the free weight scale to communicate directly with the myLiveLight app, a suite of tools including weight and calorie tracking, workout summaries, optimized workout suggestions and more. The base model does not offer this. The Daytona Plus also ups the incline capability to 15 levels from 12 and the maximum weight capacity to 400 from 350. Otherwise, it is very similar to the base Daytona. 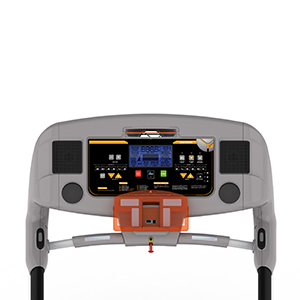 You have the patented Swing Arm shock system that absorbs a lot of the impact, minimizing stress on your knees and joints. You get a very powerful yet quiet 3.5 CHP motor, up to 12 mph speed and a generously sized, maintenance free 20" x 60" running deck. Some of the other great features include the free IWM bluetooth scale, speakers, a 3-speed adjustable fan, wireless heart rate chest strap and a tablet rack, along with music streaming, something the down-level Boca treadmill does not have. The Daytona Plus is backed by an excellent warranty covering the motor for life, parts for 5 years, and in home labor for 2 years. 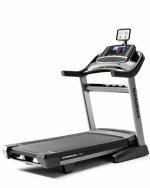 The Daytona Plus is the top of the line model in the series, and as such it offers a ton of great features and capabilities, and things you just don't find on other treadmills in any price category. It's a big step up from the Yowza Delray Series, and is more of a runner's treadmill than any of the others. You get a powerful motor, nice incline capability, great speed, a generous sized deck with the innovative Swing Arm suspension and access to the company's MyLiveLight suite of tools. If the $2,199 price tag is a bit out of reach for you, take a look at the step-down Boca model, which is about $400 yet retains many of the features of the Daytona Plus.